A bruise, which is also called a contusion, occurs when the blood vessels leak blood. This usually happens due to an injury that causes the blood vessels to break. As blood enters the tissues, a bruise forms. Over time the area heals, the body reabsorbs the blood and the bruise disappears. There are conditions which can cause bruising to happen more easily than is normal. If this occurs in the legs or any area of the body, it is best to seek the advice of a physician to make sure there is not a serious underlying condition. With age the capillary walls are more frail and susceptible to injury, which can cause the legs to easily bruise, states the Mayo Clinic. In addition, the skin can become thinner and is less able to protect underlying blood vessels. With age, even the slightest bump or injury can cause a large bruise. Any medications that work to thin the blood or stop it from clotting can make the body more susceptible to easy bruising. 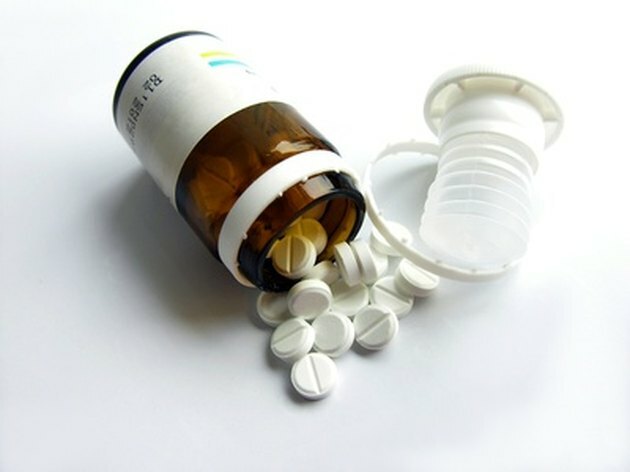 If the legs are banged or injured while taking these medications, the bleeding may be more severe than normal, which can lead to bruising, with even minor injury or bumps to the legs. There are certain herbal remedies and supplements that can have the same effect, so it is always best to speak with a doctor about all medications and herbal remedies being taken if bruising starts to occur more easily. Thrombophilia is a general term used to describe many conditions that affect the body's ability to form blood clots normally. These conditions make the blood clot easily and can lead to a wide variety of symptoms. The Merck website states that thrombophilia can be inherited, due to a medical condition, acquired after birth, or be the result of prolonged periods of inactivity from paralysis or surgery. Clots can form in the veins of the legs, which can lead to red spots, bruising and other types of skin discoloration along with swelling in the affected area. There are many blood diseases that can lead to easy bruising. According to the University of Illinois Medical Center at Chicago, this includes cancer, kidney disease, liver disease, blood poisoning or hemophilia, which is a condition in which the blood does not clot properly. Bruising easily in the legs or any other area of the body should cause concern if there are multiple bruises or any other symptoms present. A doctor should also be consulted if constant bruising occurs with no known cause or memory of bumping or injuring the area. Inadequate intake of essential vitamins and nutrients such as vitamin C can cause the legs and other areas to bruise more easily, according to MedlinePlus. Without the right nutrition, the body is not able to properly heal itself. Working with a registered dietitian can help to make any necessary changes to your diet that can support better health. Can Poor Diet Cause Easy Bruising?